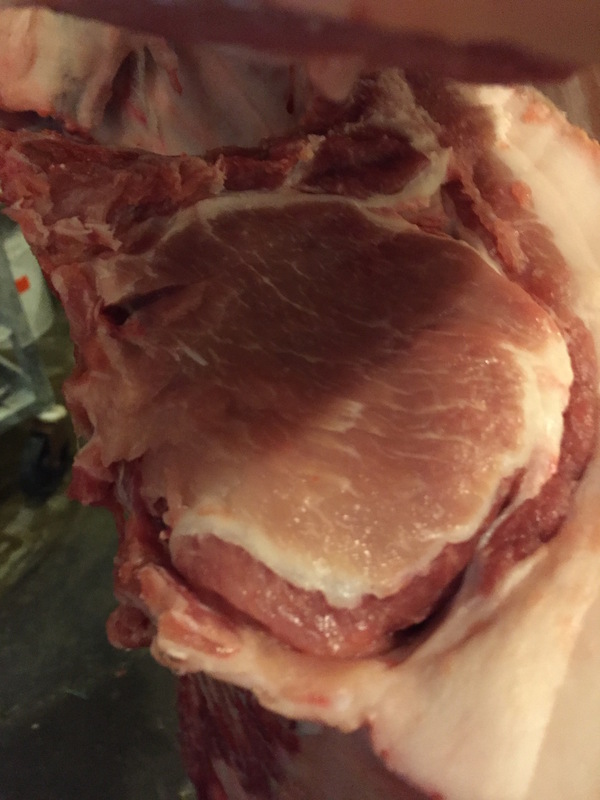 Pay attention to color and marbling in this carcass. Here's the all-American bad boy Goliath in all his glory. Kelly and Brett Bowen did an outstanding job in assembling one of this caliber. Goliath is very gentle giant and makes doing chores a breeze. He is a must use boar for Hampshire hog enthusiasts. We have hogs on the ground sired by him. He is Augusta X Augusta's mother on the top side and out of a Cain boar on the bottom. Further pedigree credentials available upon request. Bred and owned along with Frank and Howard Parrish. This boar is a blow you out X hometown. He is a genetic jewel. In terms of body dimension he is volume on top of volume. He moves totally wide open off both ends. Taz gets his name by the way he communicates in the boar barn with the other studs. Taz is a wonderful next step boar as he possesses great breed character and head carriage, very clean in his joints, and offers more height at the shoulder and skeletal extension than most. All this while not sacrificing muscle and leanness super sound footed with an extremely active libido. HP Isaiah our latest acquisition from Frank and Howard. 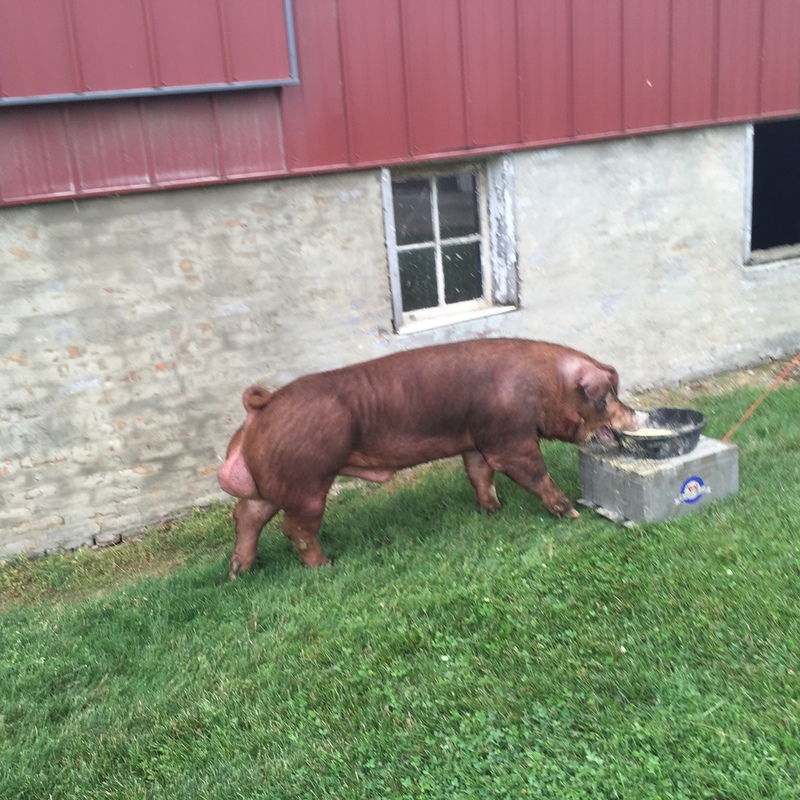 He is production on production with a very clean skeleton and tremendous Duroc meat animal shape. Pay attention to the angles of his skeleton. Also, study the top and bottom of his pedigree. His two grand dams have a lifetime SPI of 112. The hip in this boar is near perfect. Oh So Good X Mrs Monkey. 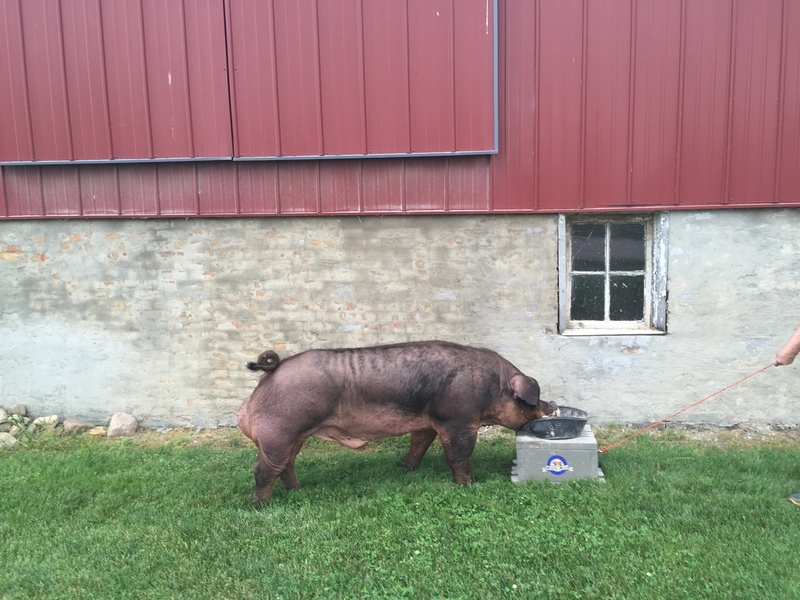 Saul is a boar purchased from Don and Mark Peter. If a picture is worth a thousand words then Saul represents a novel. A glance will tell you that he is double take x point taken. Mark could provide additional information on the quality of this boar. 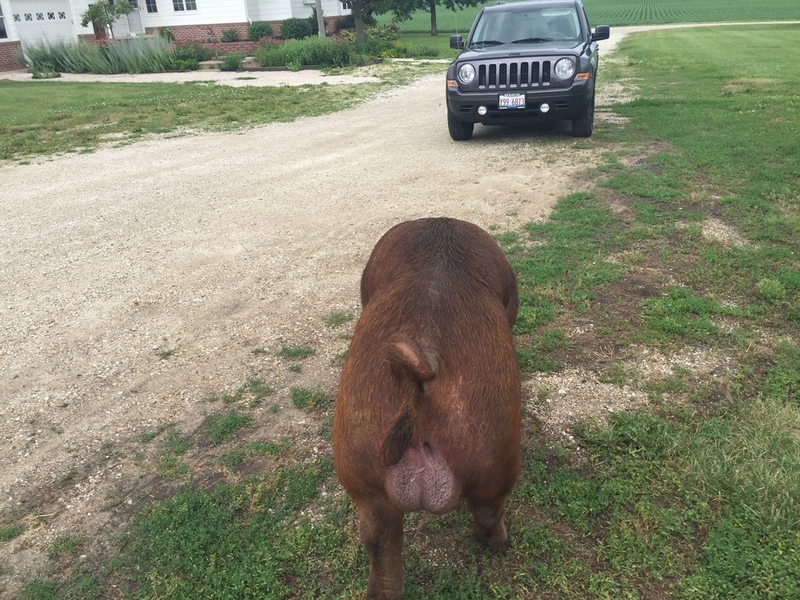 This boar comes to us courtesy of John Huinker. We call this barrow-oriented boar Johnny B Good. Are you serious about showing highly competitive red barrow? Then this boar is a clean beautiful big skulled, clean jaw line, very bold shouldered, tremendous forerib, length of side with shape on top of shape. Additionally, he has an extremely active libido and is a very aggressive breeder. Deep mahogany color. Pedigree reads Centerfold x King. Henry is an immaculately sculpted structurally correct one that will see a lot of use here. He'll be especially useful on my King Job daughters. He is Cyclone X New dimension. King David a great female-oriented boar and son of the legendary King Job. We owned this boar the Parrish genetic team. He is King Job X Explode.